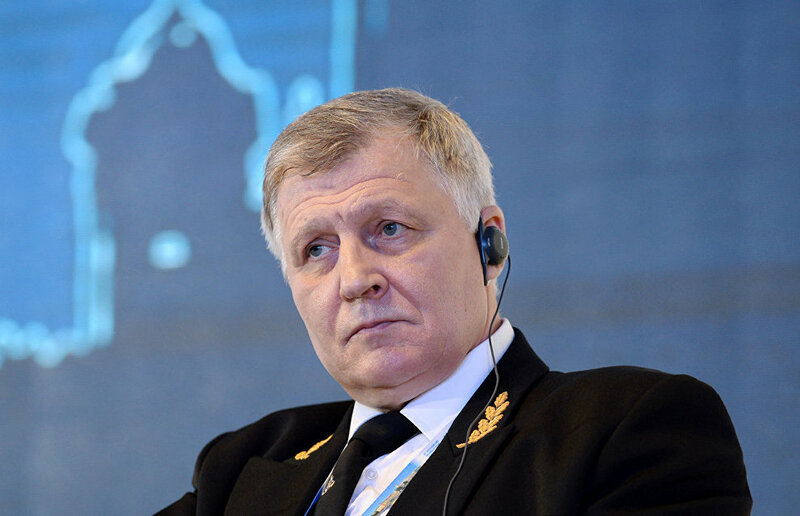 In early 2016, the Arctic.ru editorial office interviewed Alexander Olshevsky, Chief of the Northern Sea Route Administration, on the need to build modern icebreakers, on expanding freight traffic volumes, on cooperation with Chinese partners and on other important factors in the route’s development. Mr. Olshevsky, could you please tell us how the Northern Sea Route Administration was established? Why did the new administration start functioning only in 2013? The Northern Sea Route's sustained operations launched on December 17, 1932 when the Main Northern Sea Route Administration was established as part the Council of People's Commissars (Ministers) of the USSR,. Otto Schmidt was its first chief. In 1953, it became part of the Soviet Maritime and River Fleet Ministry and retained its status as a main administration. In 1954, it was included in the Maritime Fleet Ministry and also retained its main administration status. In 1964, the administration was abolished, and its functions relegated to the Icebreaker and Piloting Services Department of the Maritime Fleet Ministry. In November 1970, the Northern Sea Route Administration was established at the Maritime Fleet Ministry. The administration's regulations were approved by a resolution of the USSR Council of Ministers (Government). At the time, all vessels belonged to the state, with the administration directing all traffic along the Northern Sea Route. In 1988, the Northern Sea Route Administration became a department at the Maritime Fleet Ministry central administration. Under the 2004 administrative reform, the administration's functions were relegated to the Icebreaker Services and Hydrography Department (Northern Sea Route Administration) of the Federal Agency for Maritime and River Transport. 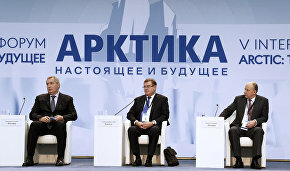 The national economic situation changed by 2013, with the state and ship-owners establishing new relations. As the old system no longer matched the requirements of the new economic environment, Federal Law FZ-132 of July 28, 2013 reinstated the modern Northern Sea Route Administration. Our agency organizes navigation along the Northern Sea Route. The law stipulates a procedure for issuing licenses to vessels and demarcates the boundaries of the Northern Sea Route. In 2015, regional freight traffic volumes increased by 1.2 million metric tons. How can this be explained? This is not quite so. The 2015 freight traffic volumes increased by almost 1.5 million metric tons compared to 2014. First of all, this is linked with the delivery of additional consignments for building a seaport in Sabetta, part of the Yamal Peninsula, in the Gulf of Ob and a local liquefied natural gas (LNG) plant. Freight traffic volumes therefore soared by about 800,000 metric tons. The situation was also influenced by more substantial crude oil shipments from the Novoportovskoye deposit through Cape Kamenny (Stone) in the Gulf of Ob. These shipments increased by just over 200,000 metric tons. Currently, the Northern Sea Route is expanding its freight shipments. Are you coping with this increase? Yes, we are coping because we are issuing licenses. In 2013, we issued just over 630 licenses and 700-plus have been issued to date. Aren't you afraid that traffic will become a bit too heavy? People in the Sahara desert are not afraid of camel caravan traffic congestion, and these caravans will someday get stuck there. The same can be said about our waterways. It should be mentioned for comparison's sake that the Suez Canal recently handled 800 million metric tons of freight annually. And our route handled just 5.4 million metric tons in 2014. We are now conducting dredging operations in a canal near Sabetta port, and it will be necessary to direct local shipping because a large gas tanker will sail there every 36 hours. But our traffic is not so heavy, and we'll therefore be able to cope. Is China becoming more interested in the route's development? Are the countries jointly developing it? Ours is an oversight agency. Therefore, the Chinese side is contacting us on a non-discriminatory basis, just like other national ship-owners, including those from Russia. Yes, we have met with representatives of the Chinese shipping community, but they have shared only some rather vague plans regarding future efforts to expand regional navigation volumes. But they were mostly interested in our own plans, including those to guarantee safe navigation along the route. In 2015, just one Chinese motor ship transited the route and carried only about 30,000 metric tons of freight in both directions. No Chinese ships sailed the route in 2014. This year, another Chinese ship delivered about 1.5 metric tons of modules to Sabetta port. Therefore, I can't say that China has been expanding its Arctic navigation in the past few years. You have noted that the Chinese side showed an interest in Russia's plans? What for? They wanted to know all about the development of the Northern Sea Route. They wanted to know what we were going to do. They were interested in freight traffic volumes, the provision of icebreaker services and hydro-meteorological reports. It appears that they would like to take part in freight shipments. So far, we have received no specific requests for accommodating vessels under the Chinese flag. We also do not see a striving to actively deliver freight along the route. Some researchers are noting a decrease in Arctic sea ice volumes. At the same time, Russia continues to build a new icebreaker fleet. Is the project justified in this context? I know nothing about such research. We are cooperating with the Arctic and Antarctic Institute, a leading Russian and international research agency specializing in polar hydro-meteorology. Its experts believe that Arctic sea ice formations are bound to increase in the near future. Even if this forecast does not come true, the area of Arctic sea ice formations dropped to an all-time low in 2012. At that time, it was possible to navigate the Russian coast without any icebreakers. According to a standard cycle, summer is followed by winter. In the winter of 2013, the entire route was covered by sea ice up to two meters thick, and vessels could no longer sail without icebreakers. 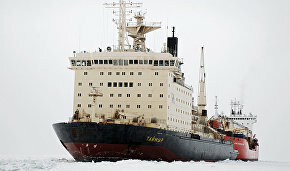 Incidentally, the latest 50 Let Pobedy icebreaker, laid down in Soviet times, entered service in 2007. Double-draft icebreakers, now under construction, have a rated power of 60 mWt and will replace those being phased out. Russia is building two double-draft icebreakers, and there are plans for a third icebreaker in this category. All have already been allocated for current and proposed Arctic freight-export projects. Therefore, we don't believe that we are building too many icebreakers. We may have to build even more icebreakers in case of expanded Northern Sea Route traffic. Deputy Prime Minister Dmitry Rogozin believes that the Northern Sea Route should operate all year round. In his opinion, the route's administration should generate ideas and proposals for this purpose and help develop new technologies. How is this work proceeding? It goes without saying that any regular transport process is profitable. I have submitted proposals to our administration on this issue at a meeting of the Business Council, affiliated with the State Commission for Arctic Development. Mr. Rogozin instructed the concerned officials at the Ministry of Economic Development and Rosatom. It's hard to say how these instructions will be fulfilled. Regarding all-year-round traffic, vessels have been delivering freight to Dudinka in the route's western sector without interruption since 1979. 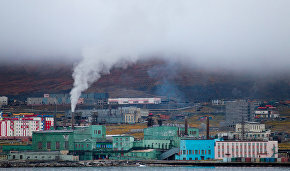 From there, the consignments are delivered to Norilsk Nickel, a nickel and palladium mining and smelting company. Since the winter of 2013-2014, we have been delivering freight to the Sabetta LNG plant. Since last winter, we have been delivering oil from the Novoportovsky deposit, via Cape Kamenny, 24 hours a day. So the route's western sector functions all year round, with three nuclear icebreakers escorting freighters. And what about the eastern sector? Local sea ice formations take more time to melt, and our waterways there are longer. So far, we have no experience of regular winter-time navigation along the entire route. We have already proposed an experimental voyage involving the nuclear lighter-aboard (LASH) Sevmorput (Northern Sea Route) for assessing the economic efficiency of such trips. The deputy prime minister has instructed Rosatom officials to submit this trip's feasibility study. We also need to assess its financial and economic cost estimate and feasibility study. Mr. Rogozin has also noted that it's possible to build railways toward the route's ports. When do you plan to do this? Our emblem has three anchors and no railway cross-ties. In the Soviet era, I rode a train from Dudinka to the Norilsk airport. Even commuter trains have stopped running there. But Norilsk Nickel still delivers its freight to Dudinka by rail. This line is not linked with the mainland Russian Railways network. It's highly unlikely that any tracks will ever be laid to Tiksi, but the Dikson route's prospects are unclear. Maybe a railway will be built to Sabetta. I don't think it's so easy. In conclusion, I'd like to say that on June 5, 2015 Prime Minister Dmitry Medvedev approved a comprehensive project for the development of the Northern Sea Route until 2030. The project stipulates navigation/hydrographic and hydro-meteorological support for local shipping, as well as search-and-rescue projects, measures to upgrade local seaports, defend the route and develop and manufacture marine technology, systems and resources. The project's implementation will make it possible to guarantee navigation safety, to deliver freight to Russia's sub-Arctic and Arctic regions and to deal with sea pollution. Moreover, it will guarantee more reliable transits and hydrocarbon deliveries from deposits on the Arctic coast and from national sectors of the continental shelf.